Background Maternal opioid use and neonatal abstinence syndrome (NAS) incidence have increased markedly in the US in recent years. Objectives (1) To assess prescribers’ and community pharmacists’ guideline-based NAS prevention behaviors; (2) to describe providers’ perceptions of contraceptive appropriateness in female patients of childbearing age. 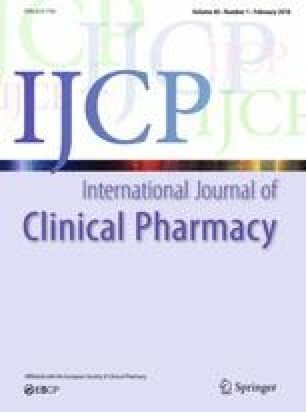 Method Cross-sectional study of 100 randomly selected primary care physicians, 100 prescribers authorized to engage in in-office treatment of opioid use disorders with buprenorphine, 100 pain management clinic directors, and 100 community pharmacists in Tennessee (N = 400 providers total) to evaluate self-reported engagement in 15 NAS prevention behaviors and perceived appropriateness of 8 contraceptive methods in opioid using women of childbearing age. Results An overall response rate of 17.5% was obtained. Pain clinic directors reported the most engagement in NAS prevention, engaging 80% or more of female patients of childbearing age prescribed an opioid in 11 prevention behaviors, followed by buprenorphine prescribers (8 behaviors), primary care physicians (5 behaviors), and community pharmacists (2 behaviors). Pain clinic directors, primary care physicians, and community pharmacists perceived oral contraceptive pills and patches to be as appropriate as long-acting, reversible forms of contraception (e.g., implants, injectable depots, intrauterine devices). Conclusion Provider engagement in behaviors that could prevent NAS is variable. Interventions should be implemented that equip providers to engage patients in conversations about long-acting, reversible contraception. Dr. Ronald Carico Jr., Dr. Heather Flippin and Dr. Holly Gilliam were PharmD students during the conduction of this study. The online version of this article ( https://doi.org/10.1007/s11096-017-0573-9) contains supplementary material, which is available to authorized users. The authors express gratitude to the health care providers who participated in the study. This project was funded by the Tennessee Department of Health Grant #34347-46814 (Hagemeier & Click, Co-PIs). The authors declare no conflicts of interest or financial interests specific to the content of this manuscript.